More fashion-centric designers are throwing their hats in the wearables ring, and it looks like Google wants to amp up its own offering in response. Specifically, there are new Android Wear faces designed by major icons in the fashion biz. Ted Baker has 10 faces to choose from while others like Mango and Harajuku Kawaii have just one face you can download. There are already tons of Android Wear styles you can choose from, in comparison to Apple Watch. Apple did add new faces during the last update, but its smartwatch face collection still has a much smaller selection. 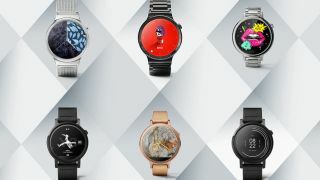 The faces are free and available for Android Wear smartwatches today from the Google Play Store, though they'll arrive in the iOS Android Wear store a bit later.